Since Shanghai adopted the policy of reform and opening-up 40 years ago, it has continued to be one of the most attractive cities for foreigners in China. Shanghai Daily reporters went over the statistics and surveyed some of our readers to draw a bigger picture of expat life in the city. Shanghai, for the sixth consecutive year, topped the list of the most attractive Chinese mainland cities for foreigners early this year in a ranking launched by the State Administration of Foreign Experts Affairs. It was voted completely by foreigners in four indexes: expat-friendly policies, governmental administrative capacity, and working and living environments. Click the graphic to see the ranking of the most attractive cities of China's mainland in the eyes of foreigners over the past six years. How many foreigners are there in Shanghai? 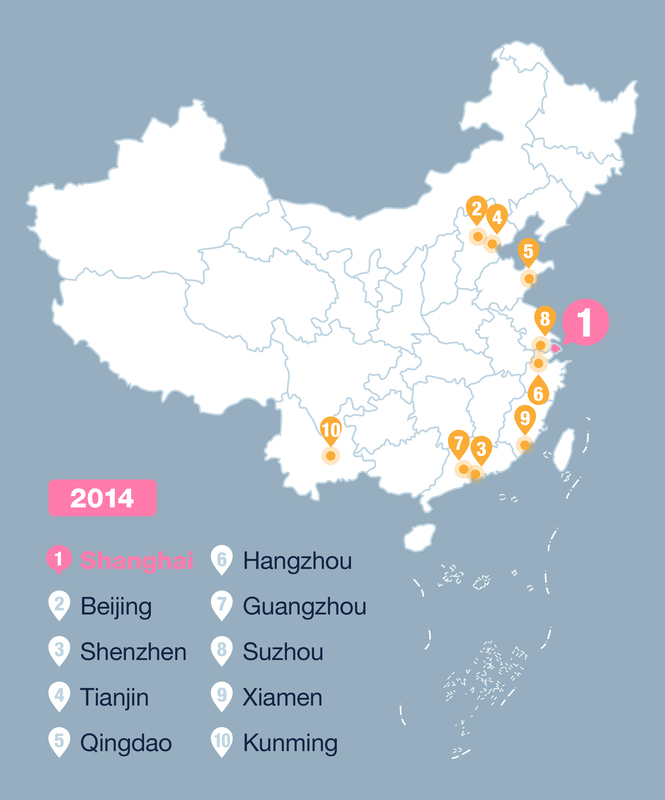 According to the latest open data by the Shanghai Statistics Bureau, Shanghai had a foreign population of more than 175,000 by 2016, which almost quadrupled the 44,000 in the year 2000. Note: Data before the year 2000 is not available. 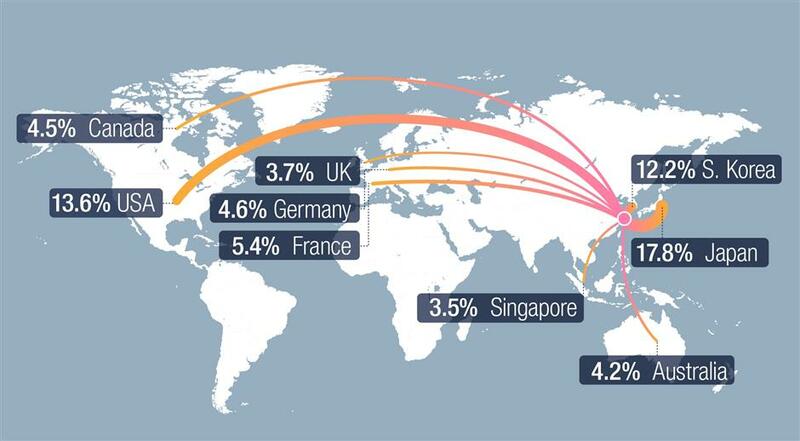 Expats in Shanghai are mostly from the following nine countries. About 30% of foreigners in Shanghai are from Japan and South Korea, and nearly one fifth come from North America, according to the latest statistics revealed by the Shanghai Statistics Bureau in 2016. Why do they come to Shanghai? More than half of the foreigners living in Shanghai came for work. Who have got the green card? Since 1987, Shanghai has been granting permanent residence cards to foreigners who have contributed greatly to Shanghai's development. Talitha Gerlach (1896-1995), whose Chinese name was Gong Lishu, was the first foreigner to receive a Chinese green card in Shanghai on June 13, 1987. 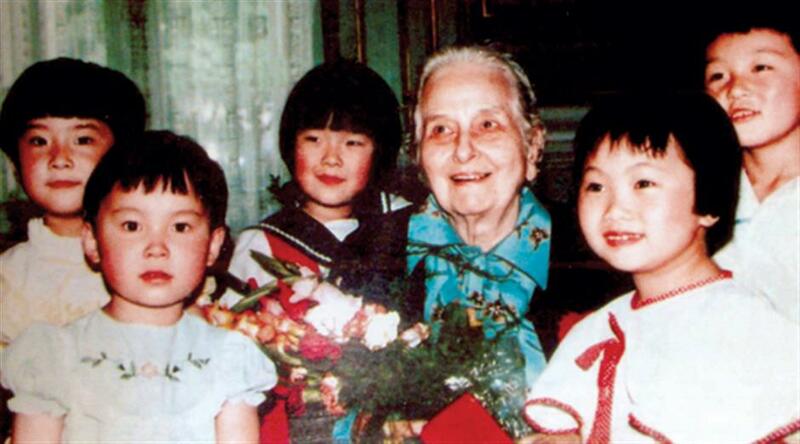 Gong, who was born in the US, worked her whole life with Soong Ching Ling for the welfare of Chinese women and children. “The Recruitment Program of Global Experts” in 2008 pushed forward the recruitment of overseas talent. 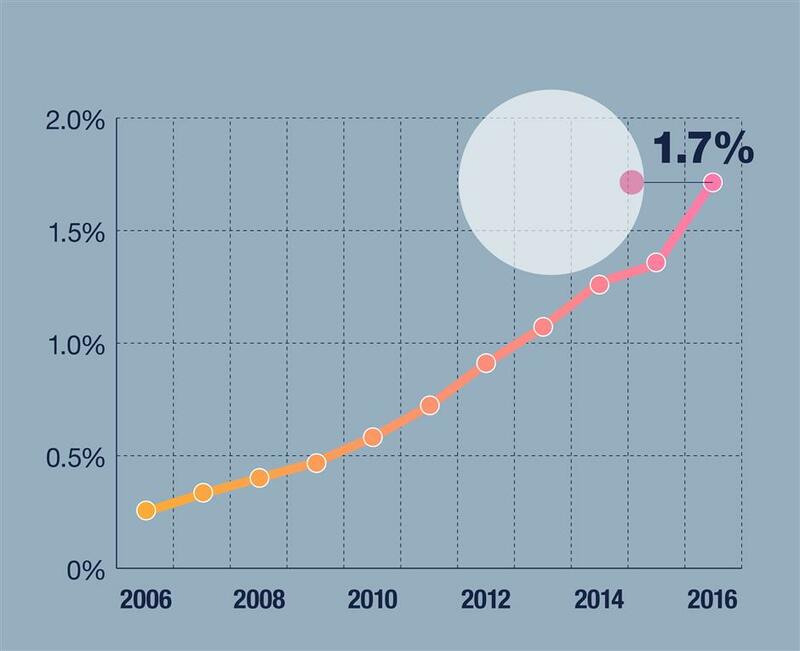 Over the past decade, the proportion of foreigners who have received permanent residence cards has increased significantly. According to the Shanghai Statistics Bureau, Shanghai had 3,027 permanent foreign residents by 2016, which accounted for 1.7 percent of the total foreign population. Shanghai Exit-Entry Administration Bureau said it issued 400 to 500 green cards annually in the past two years. This year, the establishment of China’s State Immigration Administration further streamlined the green card application review process. Over 500 Chinese green card applicants in Shanghai received their green cards in the past two months, accounting for about 30 percent of all foreign nationals granted the cards in China. 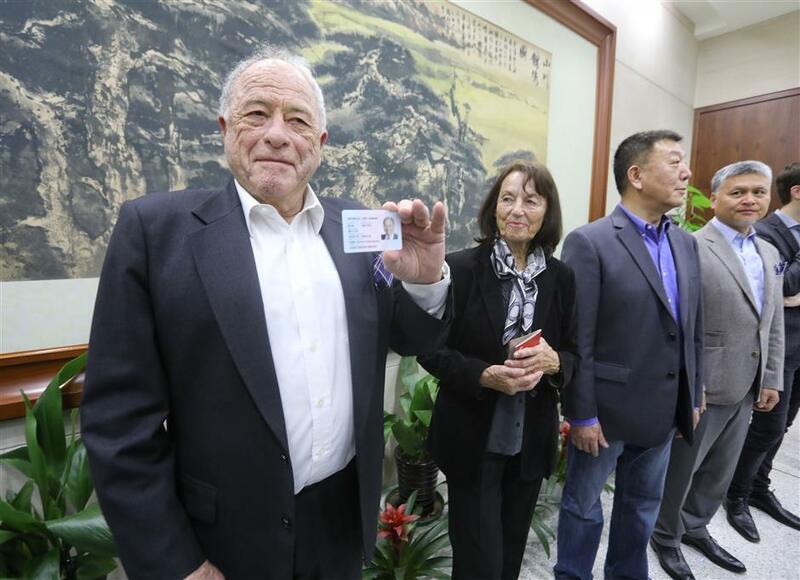 Nobel Laureate Kurt Wuthrich received his Chinese permanent residence card, along with five others, in Shanghai this April. How many have married local residents? 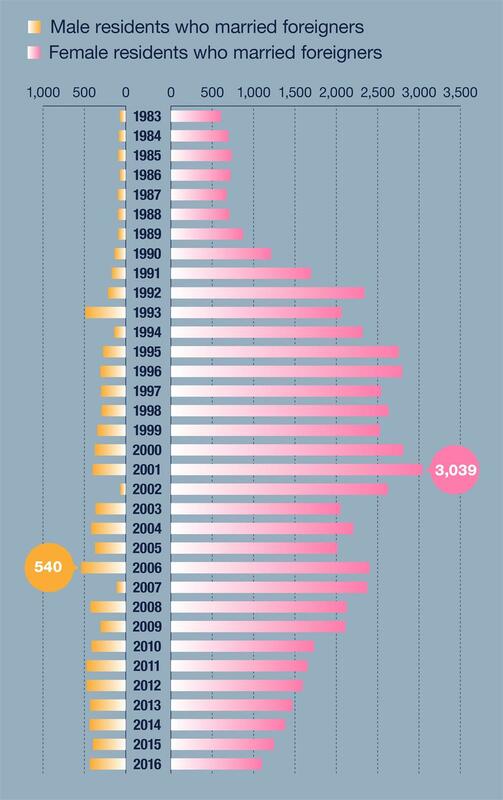 Marriage between foreigners and local residents picked up in 1980s and the trend reached its peak around the year 2000. Around 3,500 local residents married foreigners in 2001, which was the peak of cross-cultural marriage in the past 40 years. 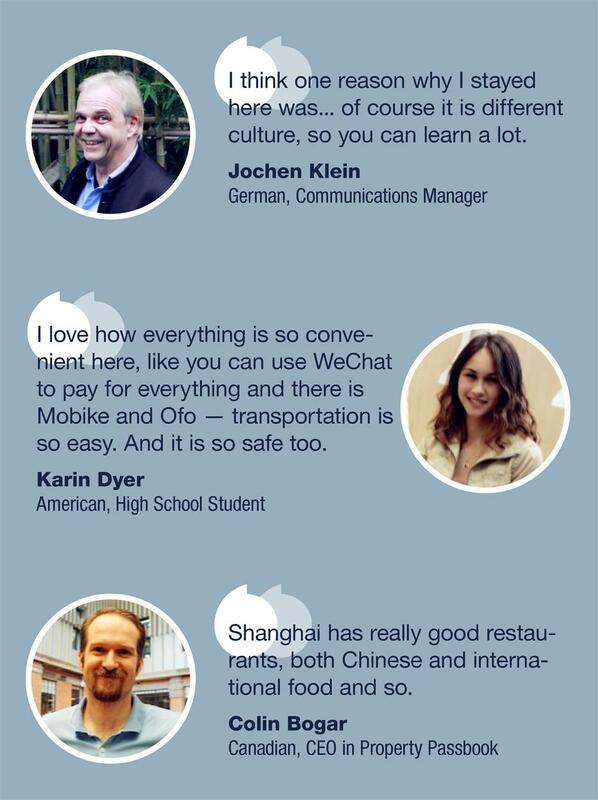 What do Shanghai Daily readers like about the city? 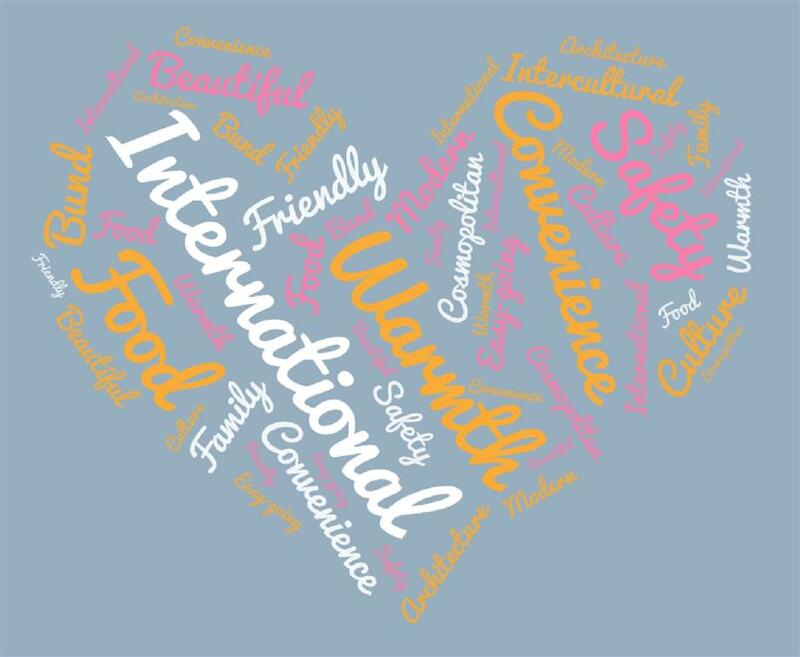 Key words that appeared most when Shanghai Daily expat readers were asked about why they choose to live in Shanghai. Follow our column “Expats of Shanghai” to read in-depth interviews about expats who now working and living in Shanghai. If you want to share your own story, please contact us at zhengqiong@shanghaidaily.com.